"The Power of Relationships in Business"
And to accomplish this, we will be featuring a unique team of Business Speaker(s) the inspiring couple of Michael and Brenda Sanchez, who are pioneering a new look at an age old best-practice... Relationships Work ! According to Brenda Sanchez... "Relationships are Life's Real Currency"
They have penned a new book entitled "Life's Real Currency - Build your Business on Relationships" that they will be covering in their presentation at this month's CSE Group Meetup, You don't want to miss it ! We will also be providing an update on the recently held 4GenNow Summit in Denver for those who were not able to attend, as well as some updates on our meetup plans for our local 4GenNow Colorado Springs Group, (See below). Michael and Brenda Sanchez share a common belief &ndash; relationships are the building blocks of business. 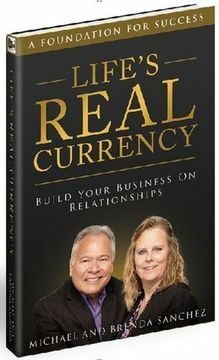 As such, the co-authors of Life's Real Currency: Build Your Business on Relationships (A Foundation for Success) have made the building and nurturing of relationships their business. "Businesses spend large sums of money on newspaper print ads, flyers, newsletters, billboards, and television and radio spots or commercials trying to attract new customers with very little Return On Investment (ROI)" ; says Michael and Brenda. "Mass marketing has its place but it's not the end all and be all of an effective marketing strategy. This approach concentrates solely on attracting a potential customer you have no relationship with." ROI is generally accepted as an acronym for Return On Investment, they see ROI as an acronym for Relationships Optimize Income. They stress that establishing and maintaining genuine relationships has been, and always will be, crucial to the success of any business. When customers believe they are valued, that creates loyalty on their part as well as an eager willingness to refer others to your business, which inevitably bring additional customers. Come an hear the Sanchez' present their studies about the importance of understanding how relationships play a key role in the success of an individual&rsquo;s personal and professional life. The result is they are very passionate about mentoring others on how to implement and practice the fundamentals, principles, philosophies and strategies that will create an environment that fosters success in a competitive marketplace. 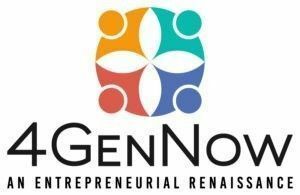 As many of you know we had the 4GenNow Summit in Denver this month where a number of inter-generational entrepreneurs got together to celebrate this amazing movement of diverse age groups of start-up business people exploring unique new organizational structures. I'll provide a recap for those of you who were not able to attend, as well as touch on some new developments and plans for our local 4GenNow group. So, tell a friend and RSVP here to attend our October Meetup at Library 21c this month !